Yours Clothing is the nation’s best loved plus size clothing brand, carrying sizes 44 to 64. Here at Yours, we believe that fashion should be available to everyone, no matter what shape, dress size or age they are. With inclusivity at the forefront of our business, we want plus size women to express themselves through our clothing, showing that fashion is not one size only. Our mission is to drive self-love, self-acceptance and body positivity to help women everywhere feel confident about their bodies and embrace their curves. So what are you waiting for? Give your wardrobe a new-season refresh with our latest style drop. 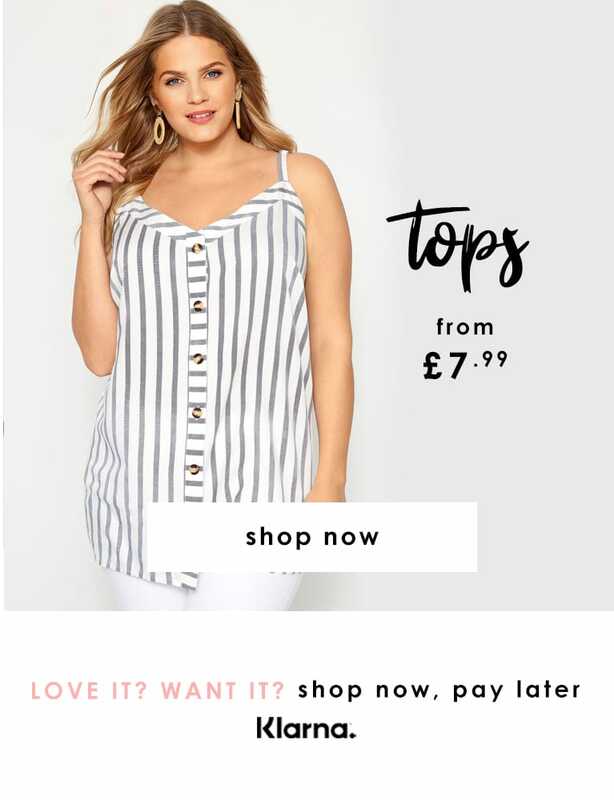 Whether you’re looking for a glamorous dress, a new coat or everyday jeans and basic t-shirts, our site has you covered with a range of figure flattering outfits for every occasion. Not to mention our exclusive collection of wide fit shoes in EEE fit, up to foot size EU 43. Celebrate your curves and join the body positive movement with our comfortable, stylish and affordable plus size fashion in sizes 44 to 64.